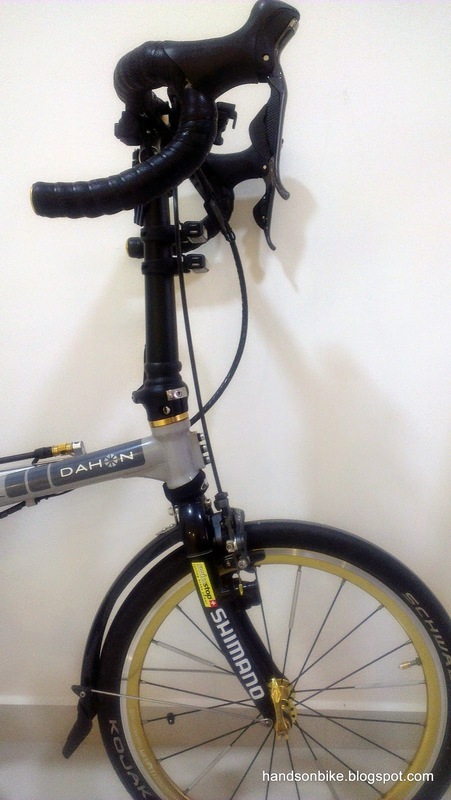 It has been a long time ever since I upgraded anything on my Dahon Boardwalk! There is simply not much left to upgrade, having changed everything except the frame. It is riding beautifully with the 2x10 speed Ultegra Di2 drivetrain and a great wheelset. The only complaint that I have about the bike is that it is slightly heavy. As I have set up the bike to be a multi purpose bike, it has many accessories that will add weight. 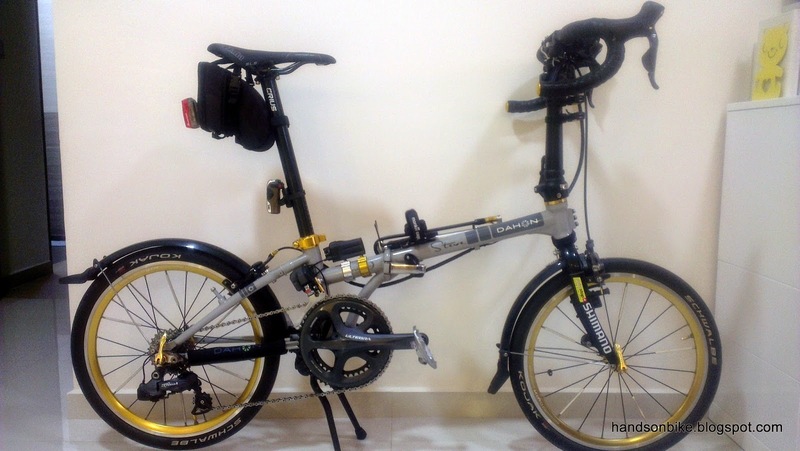 Some examples are the fenders, Pletscher double kickstand, rear rack, secondary brake levers and of course all the tools and lights. Recently I bought a new cycling bag, the Shimano Unzen 10L, which allows me to carry stuff without using the rear rack. It is so useful and comfortable to use that I hardly ever need to use panniers nowadays. 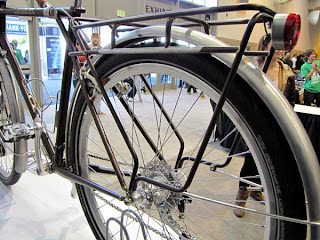 Previously I had installed the rear rack to carry panniers, mainly for commuting and also touring. However, since the rear rack is rarely used nowadays, I decided to remove it. My rear rack has 2 Bontrager Flare 3 rear lights and a Polaroid sports camera on it. Together, they weigh a massive 700+ grams! 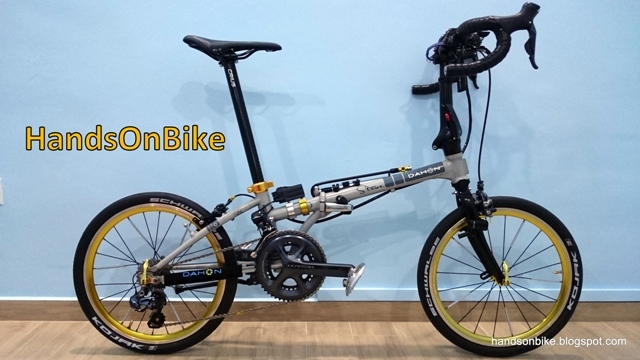 By simply removing the rear rack, a large amount of weight has been removed from the bike. Removing the rear rack is easy, as I just needed to unscrew the 4 bolts holding the rear rack to the bike frame. It will be easy to re-install it next time if I need it again. 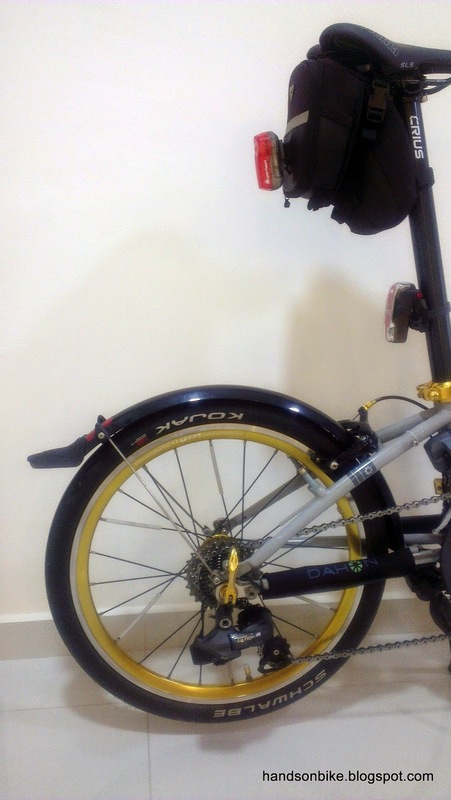 As for the other heavy components on the bike, such as the double kickstand (500+ grams) and the fenders (300 grams), I am quite reluctant to remove them as they are really useful. 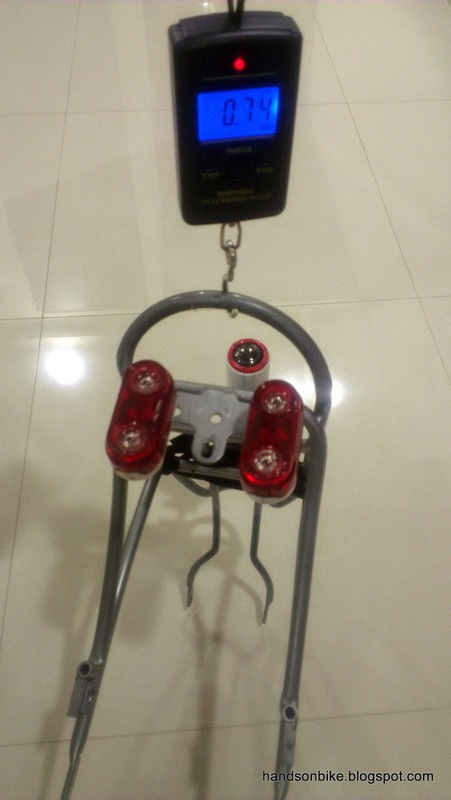 After removing the rear rack, I used the Light & Motion Vis 180 rear light to replace the 2 removed Bontrager rear lights. With the rear rack removed, the appearance of the bike looks much cleaner! 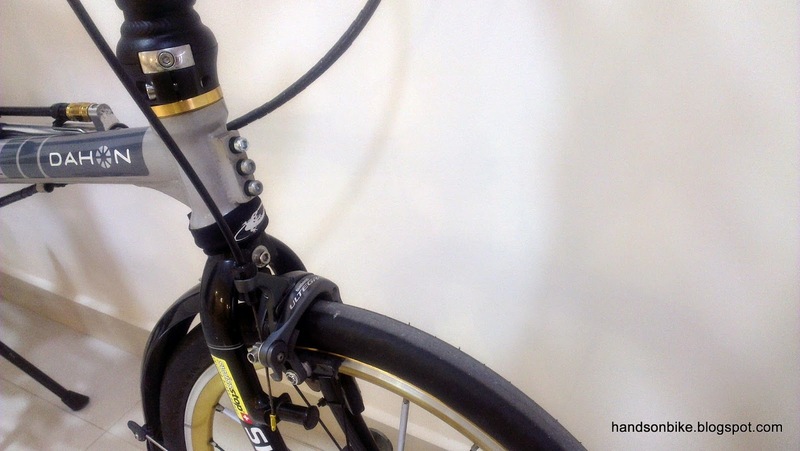 After removing the rear rack, I wanted to remove the Fork Accessory Bracket that is located at the front too. 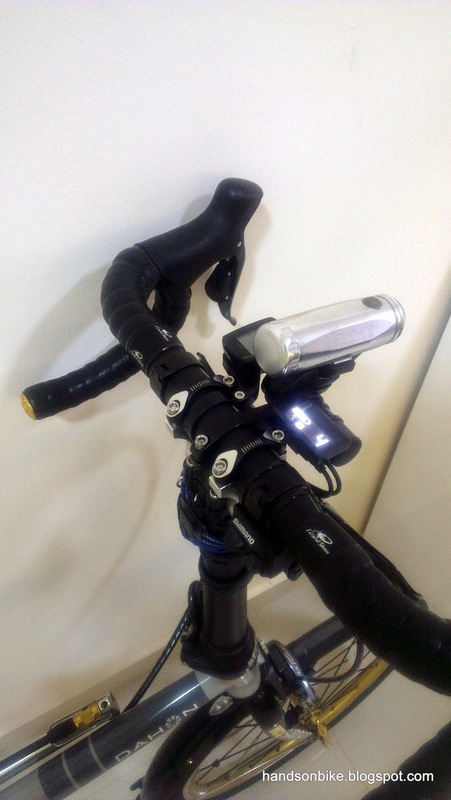 However, before that I needed to install the Bar Fly Bracket for Cateye, in order to rearrange the items on the handlebar, and move the Lezyne Super Drive XL from the fork accessory bracket to the handlebar on top. For the details please refer to the post about the Bar Fly Bracket. Lots of stuff on the handlebar! They are all too useful to remove. Very clean and neat look on the Dahon Boardwalk, after removing the rear rack and the fork accessory bracket at the front. 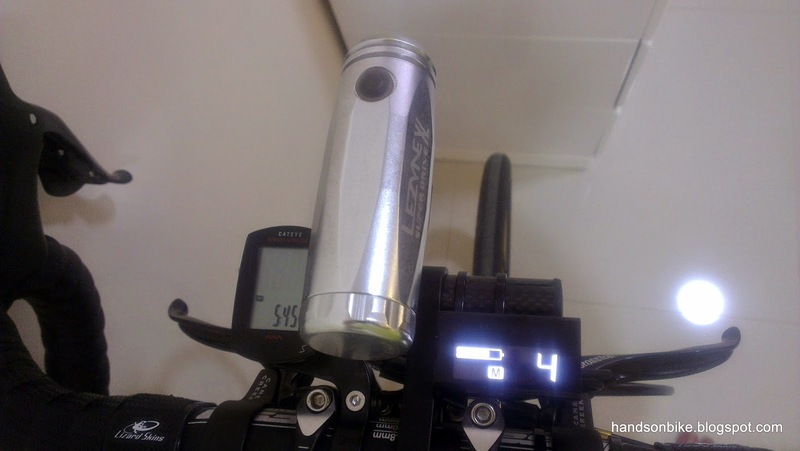 Not only that, it is now also 700 grams lighter! 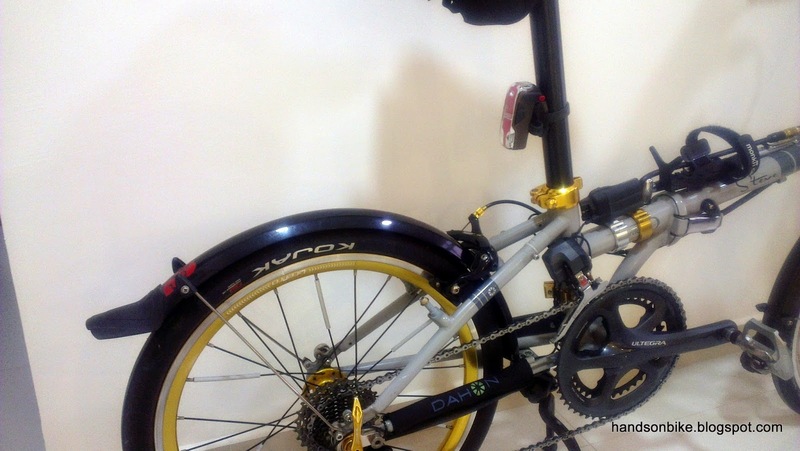 The fenders and double kickstand still gives the Dahon Boardwalk a utilitarian look, however they are too useful to remove. If they are removed it will cut another 800 grams off the bike!